It seems like a silly question, but it's probably the most important, and the answer is probably 'well'; you want your move to go smoothly and stress-free. But while most people dream and wish for this, they don't do the necessary work to make it happen, either they handle it themselves without thinking it through or compromise on quality when hiring a removal company. But to make moving house a success, it's important to get the right help. And that's where choosing the best removals company in the local area is vital, and if you're in N10 or N11 then Removals London is the answer. We offer a great value, top class removal service in Colney Hatch, and we want to help you. One of the most important things we will do is get your possessions from point A to point B without incident. It might sound simple but this really can be the most stressful bit if not done properly. But for us helping with house removals isn't just about loading boxes and driving them to your new home, it's about making every step as relaxed and enjoyable as possible. That is why we can offer advice and practical support with every aspect of your move from packing to unloading and everything in between. 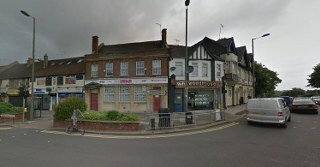 We've been in the business in Colney Hatch, N10 for many years so we know how to make it a success. All you need to do is call 020 8746 4334 to find out more. Our top priority when it comes to removals is making sure that our customers know that they are in charge, and that what they say goes. Whether that means you dictating how you'd like us to do your home or office removals, or you leaving it up to us to make the decisions and get it done for you. The most vital thing is that we listen to you and respect what you need. Sometimes we may well advise another course of action when something won't work or is unnecessary or needlessly expensive, but we will always defer to you and let you make the final decision. To become our boss just call 020 8746 4334. Housed in the London borough of Barnet, Colney Hatch has plenty to offer. Getting there is easy via New Southgate railway station or one of the many bus routes, and finding something to do is a snap with shopping, entertainment and history around every corner. It used to house the world famous Colney Hatch Lunatic Asylum with tours around the subject still taking place today, nearby there is also North Finchley, Muswell Hill and Alexandra Palace which frequently hosts events and exhibitions for all to enjoy. Nearby areas include, Fortis Green, Friern Barnet, Bounds Green and New Southgate. For a relaxed and enjoyable removals experience in Colney Hatch, whether it's N10 or N11, you need Removals London. Over the past decade, we have been helping the local residents and businesses find a simpler solution to their office and house removal needs. From basic furniture removals to total relocations, our removal services have been supporting the locals for many years, and if you are looking to move then you're in luck. We have the skills, capability and capacity to help you with your move no matter where you're moving to or from in the area. All you need to do for a great moving experience is give us a call on 020 8746 4334 and talk to the experts. Book our man and van service now to avoid disappointment!